There’s no greater feeling than being nice and toasty warm inside your home when winter weather is blasting outside. However, there’s no worse feeling than having to battle a broken heating unit on the coldest day of the year. Custom Air Heating & Cooling will help you be prepared for cold weather with our heating services for all makes and models. Heat pumps are one of the most common types of systems in our area. They’re perfect for the relatively mild winters we have here in the Carolinas. Although they’re low-maintenance systems, it’s still important that you get the right one for your home. At Custom Air Heating & Cooling, we sell, install, and repair heat pumps so you can stay warm all winter long. We’ll come to your home and give you our professional recommendation on which system you should choose. Talk to us today and let us find the perfect one for you. Gas paks are another popular choice for residential heating. This option has your heating and cooling in one unit (like a heat pump) but allows you to use natural gas, propane, or oil to produce heat. This is why so many homeowners prefer the consistent, quality heat provided by these units. Gas paks are efficient, too, giving you the potential to save money when you have one installed. There’s another bonus to using these systems: they’ll even work when the power goes out. For this reason, gas paks are the perfect choice for many people when you consider the ice storms we often encounter during the winter. Gas furnaces are a great way to provide maximum heat for your home. Just like with gas paks, heat will be produced quickly and efficiently, then distributed evenly throughout your home. However, it’s important that you select a furnace that’s the right size for your home. Choose the wrong size and there won’t be enough warm air to go around. When you call Custom Air Heating & Cooling, you’ll get our expert advice on which gas furnace is best for your home. Add in our professional installation and outstanding customer service and we guarantee you’ll be satisfied with your purchase! Shopping for a new heating system? Not sure which type would be best for your home or business? These aren’t questions you have to answer on your own. Custom Air Heating & Cooling has over 20 years’ experience as a heating contractor in Rock Hill, SC. We’ll take a look at your property, talk to you about any particular needs, and make recommendations for the best type of system. Whether electric or gas, a heat pump or a furnace, we’ll make sure you stay warm all winter long! 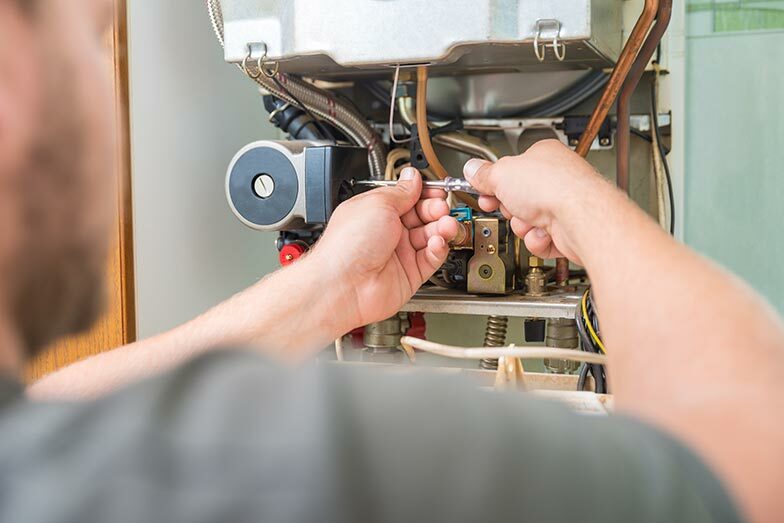 If your heating system needs a little TLC, we’ve got you covered. Just like with our air conditioning services, our technicians will identify the problem and get it fixed as quickly as possible. If repairs aren’t in your best interests for the long term, we’ll talk to you about installing a new unit and provide a free estimate. All of our repairs and maintenance are designed to be as stress-free as possible for our customers. Call Custom Air Heating & Cooling today to learn more about any of these products and services. We’re available to help homeowners in Rock Hill, Fort Mill, Lake Wylie, Clover, Indian Land, York, Chester, and surrounding areas.